Find Out Why Solutions4 Products are Better Than the Rest! To lose weight and maintain optimal health, you need effective and pure supplementation. It is just that simple. In an ideal world, you would obtain these nutrients from your food… However, it’s time to face the facts. The food supply in America is not what it once was! The soil is so depleted and the food is so over-processed and filled with chemicals and pesticides that there’s no way to get all the nutrients you need from food alone. Vitamins and nutrients that should be in our food are not! Not only that, but as a result of modern production techniques, there is a whole new breed of health-harming ingredients that can be found in typical store-bought food. They include: •Processed Salt •Soy •High Fructose Corn Syrup •Preservatives •Treatment agents (oxidant chemicals) •Emulsifiers •Trans fats (hydrogenated oils) •Reducing agents •Bacterial enzymes… and that’s just part of the list! Many of these ingredients are concealed because they are not required to be listed on the label. If you lived on an all-organic farm that didn’t use pesticides, you’d probably be just fine. But you don’t, so how will you ever be healthy? Don’t worry! Through the use of pure and effective supplementation, you can obtain proper nutrition, despite the poor quality of today’s food! But Buyer Beware! 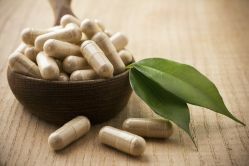 Unfortunately, there is no established watchdog for the supplement industry and as a result, the basic requirements for products on the market today are dismally low. Did you know that in the United States the FDA has authorized up to 2 rat hairs per bottle? Did you know they also allow up to 50% fillers (like sawdust or rice flour) in our supplements? As a result, a common practice in the industry is “fairy dusting,” meaning they put a large inert base in supplements like sawdust or rice flour, and then sprinkle in some of their “magic ingredient,” whatever it may be. 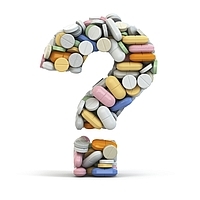 How Could You Possibly Know Which Supplements Will Best Help You, If Any at All? Thirty three years ago, Dr. Linda Nelson founded her holistic parent company, Beneficial International, in Asia. Up until 1993, 95% of their business occurred in Asia, particularly in Japan, because Dr. Nelson appreciates the strict standards for cleanliness and efficacy that countries like Japan enforce for the creation of high-quality products. Those standards were maintained when Dr. Nelson paired up with the Singletons in 2008 to form Solutions4, an all-natural line of ultra-high quality products. Solutions4 does not make use of any fillers and they use local US sourcing for all ingredients (with one exception). The majority of ingredients are found on farms in Utah, making it easy for Solutions4 reps to drop by regularly and make sure the farmers are following all specified regulations. The only ingredient found outside the US is the high-quality protein found in the Nutritional Shakes, which comes from an organic, grass-fed, free-range dairy in New Zealand. Solutions4 line uses synergistic formulas, rather than single-herb supplements. The combined ingredients support each other, making for a more potent, multi-purposeful approach for your body. Solutions4 is unique in that the company requires three rounds of lab testing on every product, ensuring that all products are wholesome, uncontaminated, and effective. They do not use any freeze-drying, heat-drying, or chemical-drying processes that denature ingredients. They set precise, required ranges for active ingredients to obtain the exact right amount of strength in each product. On top of all that, Solutions4 never uses tablets, which are basically ingredients packed into a rock with the use of a binding agent like wax, yeast, sugar, glue, etc. Not surprisingly, tablets are hard for patients to digest (see x-ray image). Solutions4 only uses all-natural, soluble, vegan capsules (V-caps) for herbal supplements, and liquid gelatin for liquid supplements. You may have heard the phrase “You are what you eat,” but truly it should be, “You are what you digest,” because healthy food and supplementation won’t help you if you can’t digest it! People like you need a reliable product. Solutions4 is better than the rest because it promises to provide top quality, maximally effective, clinical level, holistic products. These products are powerful, reliable, and safe. Soon you will be a believer and begging for more. If You Have Any Questions, Please Call Us or Come into our Clinic to Browse our Products! To lose weight permanently, you must have a strong immune system. To assist your body in immune re-building, this supplement combines the most effective nutrients used to fight against free radicals and provides exceptionally powerful antioxidant protection to cells. Helps to appease the appetite naturally and lessens nervous tension while dieting. This blend of 11 natural herbs works to assist the body in breaking down and dissipating excess fat from around the heart and other vital organs. It also produces “fat burning” enzymes, and increases energy levels naturally. Combines 11 herbs that work together to help rid the liver, kidneys, and bowels of accumulated toxins and other waste materials. Helps purify the blood stream and cleanse the lymphatic system. Three capsules per day provide 100% of the US RDA of Calcium. It offers the balance that the body needs to lose weight safely and permanently, while also maintaining healthy body function and strong bone structure. The soluble liquid gel capsule ensures the body’s best absorption. Stimulates the circulatory and lymphatic systems to flush out all stored water retention, toxins, and waste materials (the main contributors to cellulite) harboring in the connective tissues. Maximum elimination is vital in solving the cellulite problem, all three organs involved—the kidneys, intestines, and the skin—must be in superb working order. DHEA is often called the “mother” or precursor hormone, because the body readily converts it into active hormones such as estrogen, testosterone, cortisone, and progesterone. The drastic decline of DHEA production in the adrenal glands (which begins at age 40) triggers age-related issues and increases your susceptibility to disease. Helps the body to digest and assimilate all nutrients necessary for proper, healthy, and permanent weight loss. It restores natural energy to the body while promoting weight control by heightening absorption of vitamin, minerals, and other nutrients from food. Helps lower fat mass through metabolic increase. Lowers blood cholesterol, alleviates serious skin conditions, lessens arthritic symptoms, and relieves PMS. In addition, it has been known to be helpful in overcoming weight loss plateaus. This superior source of fiber is essential in the fight against obesity. By speeding up the body’s food processing time, the important vitamin, minerals, and other nutrients are absorbed from the food, maximizing efficiency without calories. This formula also helps lower cholesterol levels in the blood, cleanses the intestinal tract, and combats constipation. This sweetener is a sugar-free, low-calorie, soluble fiber supplement that tastes as sweet as sugar and provides multiple health benefits. It provides 1500 mg of soluble dietary fiber per teaspoon and is made from natural plant extracts. Use it in all instances as a sugar replacement. This organic source of Omega-3 and other essential fatty acids plays a vital role in healthy cell renewal. It also regulates cholesterol levels, decreases inflammation, and reduces your risk of stroke, cancer, and diabetes. Offers natural stress relief while helping the body maintain and/or restore maximum performance balance. The enhanced Valerian Root Formula incorporates ingredients that have traditionally been used for relaxation like Hops, Chamomile, Lavender, and Passion Flowers. This supplement is a safe and natural way to stabilize the hormones of the body for both women and men. This formula is an alternative to synthetic hormones, as it allows the body to produce and regulate its own hormonal balance. This superb formula combines 9 herbs that benefit the entire intestinal tract. As both a bowel tonic and rebuilding formula, it helps improve intestinal absorption of vital nutrients while decreasing the absorption of toxins. This supplement treats arthritis, stiffness, swollen joints, and muscular aches and pains. Assists in body healing through a combination of herbs that help rebuild and strengthen body tissue, increase joint lubrication, and reduce inflammation around the joints. Two capsules per day provide 100% RDA of all essential vitamin and minerals. The only way to lose weight permanently and maintain a well-functioning body is to get 100% nutrition in the daily diet. This all-natural, 180-calorie, sugar-free balanced meal replacement may be used for healthy weight loss and blood sugar management. This shake easily mixes with water and is available in Chocolate, Vanilla, Orange Cream, and Strawberry flavors. The shake is a unique combination of probiotics, protein, fatty acids, and essential nutrients. It has zero chemical sweeteners or sugars and yet it tastes like dessert! This supplement, which provides 10 billion units of friendly bacteria per dose, nutritionally controls acne, encourages a balance of good bacteria in the body, improves immune function, and encourages healthy cell renewal. Wild salmon oil aids in healthy aging, lowers weight without dieting, improves cholesterol, increases bone and joint health, assists in cognitive function, promotes healthy pregnancies and developing children, improves mental health, and improves the health of the eyes, nails, and skin. This supplement helps to naturally restore the body’s optimal thyroid hormone level, and alleviate the symptoms of thyroid disorders, such as: weight gain, low energy, fatigue, and depression. Vitamin D3 (Cholecalciferol) offers many health benefits, including bone strengthening, lower risk of disease and infection, and immune boosting. It comes in an easily absorbable liquid gel-cap form. This box of convenient grab-and-go packs contains 6 supplements of the highest quality vitamins, minerals, and nutrients. These are a must-have for anyone balancing great health and a busy life! The combination of supplements is designed to address deficiencies that many people experience from improper nutrition and/or inability to absorb the vital nutrients provided through a normal diet. Taking Daily Essentials helps to ensure that the body is receiving a consistent balance of vitamins, minerals, and nutrients which help to reduce the risks of disease, maintain optimal health, and improve the body’s ability to live longer and stronger. Includes: Salmon Oil, Liquid Calcium, Antioxidant, Digestive Enzyme Blend, and Multivitamin/Multimineral.